Bright dusty garnet color. 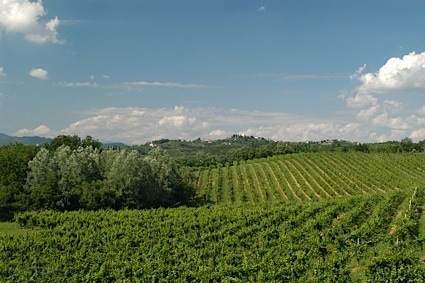 Rustic, pure aromas and flavors of iron-rich soil, organic raisin, sugared dried mint leaves, and wild cherries with an lively, dryish light body and a complex, long finish with notes of earthy chocolate, black tea, and wild strawberry with dusty tannins and no oak flavor. A naturally lip-smacking and honest Pinot Noir with great earthy notes. Bottom Line: A naturally lip-smacking and honest Pinot Noir with great earthy notes. 89 • Rascal 2014 Pinot Noir, Oregon 13% (USA) $12.99. 86 • Rascal 2014 Pinot Gris, Oregon 13% (USA) $12.99. 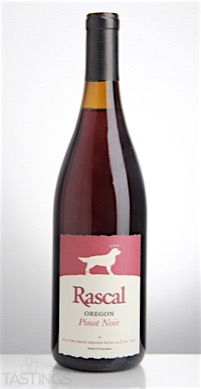 91 • Rascal 2014 Pinot Noir, Oregon 13% (USA) $12.99. 87 • Rascal 2014 Pinot Gris, Oregon 13% (USA) $10.99. 92 • Rascal 2015 Pinot Noir, Oregon 13% (USA) $12.99. 88 • Rascal 2015 Pinot Gris, Columbia Valley 13% (USA) $10.99. 88 • Rascal 2017 Rosé, Oregon 13% (USA) $12.99. 89 • Reaper 2014 Chardonnay, Russian River Valley 14.5% (USA) $24.99. 87 • Replica 2014 Chardonnay, California 13.8% (USA) $14.99. Rascal 2015 Pinot Noir, Oregon rating was calculated by tastings.com to be 92 points out of 100 on 3/28/2017. Please note that MSRP may have changed since the date of our review.